With the speed of innovation in the tech industry, we can’t know every piece of technology that will fill our everyday lives in five years, but we can predict what won't last. As smartphones begin to render low-end cameras obsolete and Netflix continues to upend the DVD and Blu-ray market, it’s clear the technology landscape will look dramatically different in the near future. ...that ten years from now (2026), some form of optical disc (not necessarily DVD) will still be around and in use by a significant percentage of the population. Things haven’t quite worked out as predicted, although car keys are gone on newer vehicles. Stand-alone GPS is still around if you look hard enough. Standard DVDs are still kicking with no signs that they’ll be abandoned, and blu-ray is still chugging. 4K UHD discs show that there is still a demand for physical media, even if it is declining. Dialup internet? I have no idea but I hope broadband is cheap enough for everyone. Dead completely? No, but headed there. If you look hard enough, you can always find someone manufacturing a technology that is essentially dead (There are still people manufacturing cassette tape players!). But the stats show most of the products above are quickly circling the drain. Others still surprise us with their tenacity…. 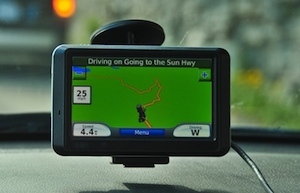 Portable nav unit sales in North America peaked in 2009 at around 18 million units. By 2013 (when this article was written), that number was down to 5 million. Two years later, it had dropped to 3.2 million units (https://www.statista.com/statistics/217935/market-size-of-pnds-in-north-america-since-2007/). I can’t find 2017 numbers, but I wouldn’t be surprised to see that below one million units today.